If you think about it, architects and engineers have massive risks. All you need to do is drive around town; some architect designed every building. An architect’s legal liability can run for many years past construction—not just at the end of the design phase. Architects and engineers do not sell products; they provide professional services. That is why architects and engineers (A&E) errors and omission insurance can help. Architects and engineers professional liability insurance can cover the professional’s legal liability arising out of service performed for clients. If you are a design professional, engineer, landscape design professional, or specialty construction professional, you should consider professional liability insurance. Why Architects and Engineers Are Sued. Every professional liability policy and insurance company is different, but we wanted to provide a few examples of the types of coverage found in many architects and engineers policies. Coverage for professional design including negligence, personal injury, and more. Defense costs outside the policy limits. Expanded definition of professional services. Broad coverage for pollution, asbestos, and equity interest. Punitive damages as allowed by State laws. It is essential to understand that even if architects think they have done everything right, they can still be sued for damages. Here are a few examples of the kinds of claims that can come from architects and engineer’s operations. An architects firm was hired to design a public school. The plans called for Dryvit, or artificial stucco, to be the primary application on the exterior of the building. Within the first year, the building began to leak, and it was determined the architect’s procedures for installation did not follow the manufacturer’s plans. The architect was sued for $3,500,000, which was the cost of redoing the building exterior. The case was settled for $3,000,000. A 150-unit condominium complex experienced severe water damage because of improper design of the building’s roof and the type of roofing material used. The building’s owner sued the architects, general contractor, and three sub-contractors. It was determined that the architect’s design had a flaw that prohibited water-flow to the roof drains. The case went to trial and the jury award the building owner $1,760,000 in damages. A penny conscious client hired an architect to manage a major remodel of his home. In the agreement signed by both parties, the client limited the number of site visits by the architect. One of the main projects was the redesign of the home’s central fireplace from an outside wall to the center of the living room. The architect did not sign off on the final construction allowing the general contractor to do so. Two years after construction, the fireplace began to fail. The homeowner sued all parties involved. The architect’s insurer paid $45,000 as part of their settlement. 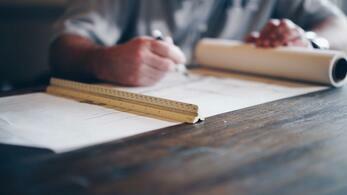 What Can an Architect or Engineer Do to Limit Their Liability? Most architects also maintain other kinds of commercial/business insurance products as part of their overall risk management program. These might include. We always recommend that architects and engineers carry at least $1,000,000 or more of liability insurance depending on the size and kind of work performed. All professional liability policies are written on a claims-made form, so it is essential to have a clear understanding of how policy dates rate to the term of the claims-made provision on the policy. Leap/Carpenter/Kemps Insurance Agency is able to help you identify the coverage you need and then prove many options for you to consider.